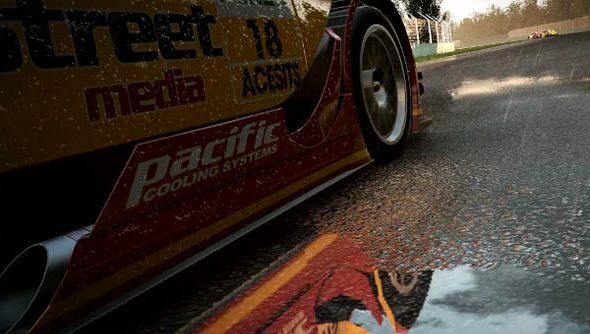 The latest trailer from Slightly Mad studios of their crowd-funded racing game Project CARS shows off something of what makes the title so special, for a start, it looks phenomenal. Simply, one of the best looking games in existence. I mean, just check out the trailer below. It just screams fun times. There’s more to games that their graphics, and it’s a little bit of a hangover of the 90sin game’s writing that we still harp on about them but, Mean, come on PHWOAR. That little outburst asi…PHWOAR…de, Slightly Mad seem to have nailed the phsics model, having the cars react to the surface of the road, the tires, and the shape of the cars. Admittedly, I know little about driving, last time I was in a car I hit a bin as soon as I hit the accelerator, but I’ve a flat mate who watches Formula 1 and everything. He’s feeding me all the lines about torque and turning circles and racing lines and that sort of thing. In short, he’s properly impressed. You can find out more about Project CARS over on their web page, here.